As the world celebrates the end of 2017 and enters into 2018, it looks toward the conclusion of yet another year. However, God has not been working his plan according to the Gregorian calendar -- but rather according to His own calendar. 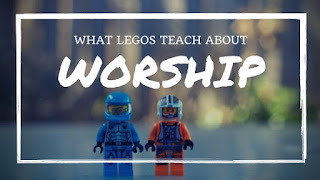 For example, when Jesus was crucified, and became the Lamb of God slain for the world, it was on the Biblical feast of Passover (Pesach in Hebrew). When He rose again from the dead, His resurrection was precisely on the feast of first fruits. Fifty days later, the Holy Spirit was poured out during the Hebrew Feast of Shevuot or better known as Pentecost. This marked the beginning of the harvest season and we've been in the midst of the great harvest for the past 2000 years. The fall feasts have yet to be fulfilled prophetically, however we as believers are groaning for the world's redemption! God is saving the best for last! While things of the world get worse, become old and fade away. The things of God only get better! Rejoice and look toward the day when there is no more death, no more sorrow, and no more pain because in Him all these things will pass away. Make 2018 your best year yet in the Lord! Throw away all the worldly pursuits and pursue God like you've never done before -- because the greatest celebration awaits us! With another year under our belts as we close out 2017 -- let's go into 2018 remembering that the best is yet to come -- soon enough we'll enter a time where "every chapter is better than the one before!" 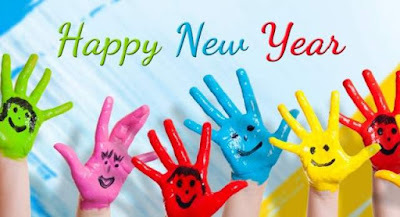 Dear Lord, we thank You for the New Year You are giving to us. We pray that as we look at the next chapter we will see that it is better than the chapter before. 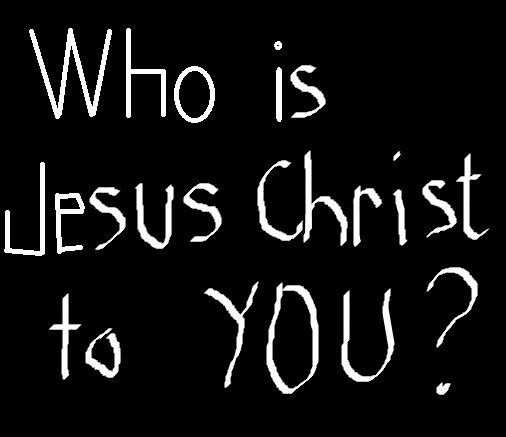 I the Name of Jesus, Amen. New Year’s Day is a perfect time for a fresh start. It’s one of the less busy times of the year as everyone recovers from Christmas. Many people are on break from school or work and have time to reflect and to think about things, and of course, to make new year’s goals. What’s your new year’s goal going to be? Should my goal to spend more time catching up with old friends, read more books, run a marathon? I don’t think that last one is a realistic goal for this year. Maybe next year. So what are you going to do in 2018? Paul resolved to let nothing get in the way of telling people about Jesus. This would be a very worthy New Year’s goaln - to tell your friends, family, neighbors, anyone who will listen about Jesus. To live your life in such a way that nothing can get in the way of introducing people to the savior king. 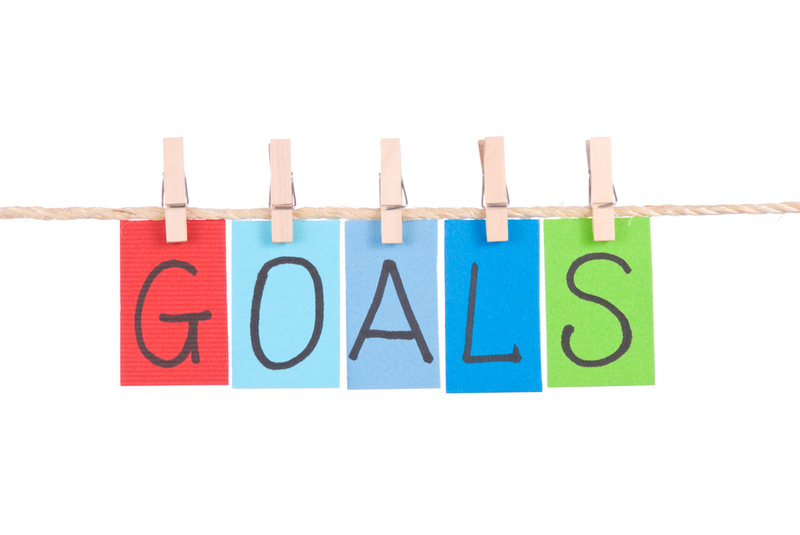 Now’s the time to make the New Years goal. Now’s the time to make preparations. Now’s the time to be ready. Do whatever you need to do to tell people that Jesus is the promised one of God and that he died to save us from the punishment we deserve. In 2018, make a New Year’s goal that will make an impact for the kingdom. Dear Lord, we pray that we would make it our goal to share Your great love with those all around us. In the Name of Jesus, Amen. Dear Lord, help us to worship you completely and not forget a step along the way. In the Name of Jesus, Amen. Today marks the 18 anniversary of my dad entering his eternal retirement home. In honor of my dad I wanted to share a little something I put together to honor my dad. Dear Lord, we thank You for the blessed hope that we have in You. Even though it’s hard to lose those we love it’s comforting to know that we will be reunited with them again someday. In the Name of Jesus, Amen. We’ve probably all got a superhero that we totally love. Whether its Superman, Spiderman, Captain America or Wolverine there’s probably one that stands out to you more than another. Superheroes are pretty awesome with all their love for helping people and superpowers, however, there is someone who puts all other superheroes to shame. His name is Jesus. So why is Jesus way better than a superhero? 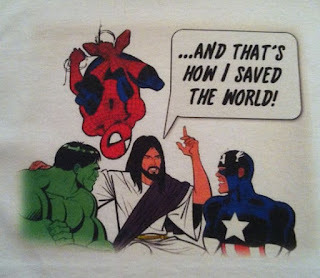 There’s like ten million reasons why Jesus is better than all other superheroes out there today, but one reason that Jesus is better than a superhero is that he was able to do what no one else could do. He was able to give us back the ability to have a relationship with God. Dear Lord, we thank You for being our super hero. We thank You for all that You do for us and will do for us I few ask in Your Name. In the Name of Jesus, Amen. How many times in life do you just wish that you knew the ‘right’ thing to do? You might be faced with a decision on where to go to school, who to date, or which sport to play this year. All of these decisions have consequences and you wish that someone would just tell you what to do. When it comes to making decisions, its often easy to ignore what this Bible verse tells us. 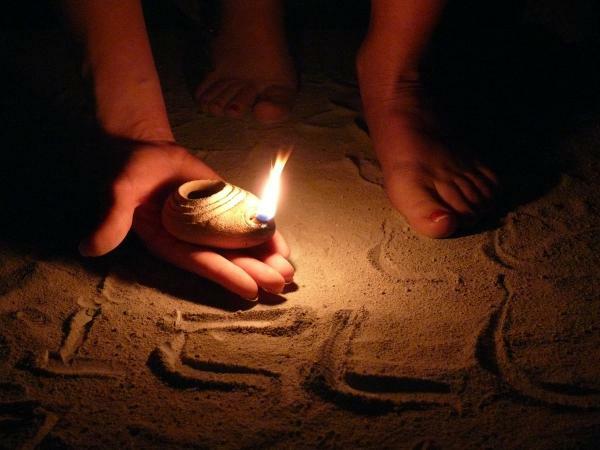 It says the Bible is a lamp to guide our feet and a light for our path. What that is telling us is this, when it isn’t obvious the ‘right’ choice to make, we can rely on God’s word for help. If we spend time reading the Bible and getting to know Jesus, we find that often the decision we are to make seems much clearer. So the next time you’re faced with a tough decision, do what this Bible verse says. Spend some time in God’s word and let it guide you into making good decisions. Dear Lord, we thank You for Your word and for the way it leads us and guides us. Help us to stay in Your Word so it can lead us through life. In the Name of Jesus, Amen. 4 And Joseph also went up from Galilee, from the town of Nazareth, to Judea, to the city of David, which is called Bethlehem, because he was of the house and lineage of David, 5 to be registered with Mary, his betrothed, who was with child. 6 And while they were there, the time came for her to give birth. 7 And she gave birth to her firstborn son and wrapped him in swaddling cloths and laid him in a manger, because there was no place for them in the inn.8 And in the same region there were shepherds out in the field, keeping watch over their flock by night. 9 And an angel of the Lord appeared to them, and the glory of the Lord shone around them, and they were filled with great fear. 10 And the angel said to them, “Fear not, for behold, I bring you good news of great joy that will be for all the people. 11 For unto you is born this day in the city of David a Savior, who is Christ the Lord. 12 And this will be a sign for you: you will find a baby wrapped in swaddling cloths and lying in a manger.” 13 And suddenly there was with the angel a multitude of the heavenly host praising God and saying, 14 “Glory to God in the highest, and on earth peace among those with whom he is pleased!” 15 When the angels went away from them into heaven, the shepherds said to one another, “Let us go over to Bethlehem and see this thing that has happened, which the Lord has made known to us.” 16 And they went with haste and found Mary and Joseph, and the baby lying in a manger. 17 And when they saw it, they made known the saying that had been told them concerning this child. 18 And all who heard it wondered at what the shepherds told them. 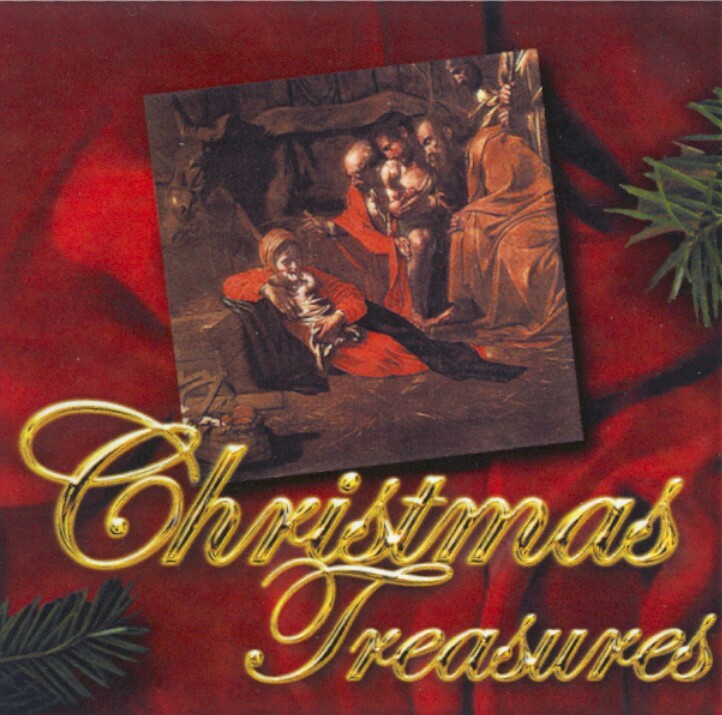 19 But Mary treasured up all these things, pondering them in her heart. It's that time of year again, Christmas Day. But what is the real meaning of Christmas? Is it the gifts under the tree, the lights in the windows, the cards in the mail, turkey dinners with family and friends, snow in the yard, stockings hanging in the living room, and shouts of "Merry Christmas" to those who pass us in the streets? Is this really Christmas? Dear Lord, we thank You for the great gift that You gave us. Help us to always remember the true meaning of Christmas. In the Name of Jesus, Amen. It’s the Christmas season, and everywhere you look, people are gearing up for Christmas. Yesterday, I walked into Walmart and saw they had a countdown of days left until Christmas. Christmas is a fun time of the year, between the gift giving, gift getting, fun lights and decorations, you’d have to be a real Scrooge to not enjoy Christmas. We’ve been identified with Christ, but it’s up to us now to change how we see ourselves. We often look at our shortcomings and failures. We focus on those things, rather than focusing on how Jesus sees us. He sees us a new people. He doesn’t see our sins and short comings, rather He looks at us and sees a new identity. And now it’s up to us to live out that new identity. Dear Lord, thanks for the good news. Help us to share the good news with all those You bring into our life this Christmas season and throughout the year. In the Name of Jesus, Amen. Labels: Christmas 2017, Why did Jesus come? I am admittedly the world’s best Christmas present wrapper. I try so hard to get the right amount of wrapping paper when I wrap gifts. I usually measure the size of the box, then re-measure it just to make sure I get it right. No matter how careful I am, I almost always end up with an extreme amount of wrapping paper. I either have way more than I need, or less than what’s necessary and end up not covering the box I’m trying to wrap. 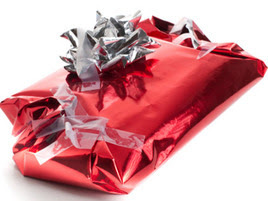 Despite my best efforts, my Christmas presents always end up looking very strangely wrapped. Wrapping Christmas presents with the wrong amount of paper gets me thinking about the word capacity. As you can tell, I don’t have the capacity to wrap Christmas presents well. But capacity is an important thing. Our view of our capacity determines how far we will go in life and in accomplishing our dreams. The importance of capacity is seen in the Christmas story. Let’s take a look at Mary and see what we can learn about capacity. In this story Mary questioned her capacity. She wondered how this could happen because she didn’t have the capacity to have a child. She was a virgin. The amazing thing about Mary is that she didn’t let herself be limited by her capacity. If I had been Mary, I probably would have listed out a bunch of excuses as to why I couldn’t carry a child. Maybe I would have said that I wasn’t ready to raise a child. Perhaps I’d say that I wanted to go to college first, or spend more time with my friends binge watching Netflix. But Mary didn’t say any of those things. She didn’t put any limits on the capacity that God saw in her. Instead Mary chose to see capacity the way God sees it. If we’re honest, when God tells us to do something, we usually see limitation. We see all the reasons why we can’t do the thing God told us to do. What we should be doing is seeing what God sees – our capacity in Him. This is exactly what Mary did. She choose to take her eyes off what was convenient, what was easy and what made sense. Instead she decided to see God’s capacity in her. Like Mary, our capacity to do more is released when we believe what God says about us. Your challenge this Christmas is to expand your view of your capacity. What has God been speaking to your heart? Who is God telling you to reach? What have you not done because you didn’t think you had the capacity to do it? How you view your capacity determines your success. So choose to see yourself the way God sees you. Choose to push back against limitations that have held you back in the past. Determine to step forward into the things God has been speaking to your heart. Challenge yourself to release your capacity to do more this Christmas. Dear Lord, help us to look at our capacity and not let it rule what we do and don’t do. Help us to look to the amazing things we can do with You. In the Name of Jesus, Amen. How to have a "Wonderful Life"
26 And he made from one man every nation of mankind to live on all the face of the earth, having determined allotted periods and the boundaries of their dwelling place, 27 that they should seek God, and perhaps feel their way toward him and find him. 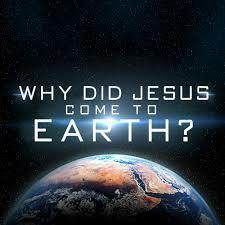 Yet he is actually not far from each one of us. One thing I love about this time of year is the great Christmas movies. 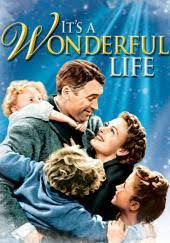 One of greatest Christmas movies is the Jimmy Stewart movie, It’s A Wonderful Life. You may have seen it, but it’s about this fellow named George Bailey who grows up in a small town and has great dreams and aspirations of seeing the world and making lots of money. Dear Lord, we thank You for how You want to use each of us. Help us to remember that each thing we do will impact those around us. In the Name of Jesus, Amen. This Christmas season, challenge yourself to think about what Jesus is to you. He’s done many amazing things, but what is He to you? Is He your savior? Your friend? Today’s Bible verse outlines some of the great things about who Jesus is. Don’t just glance over today’s Bible verse and not let it affect you. Jesus is so many things. He’s powerful, yet He’s a counselor when we need it. He’s everlasting, and yet He’s also the prince of peace. There’s so many things that Jesus is. So don’t just chalk Him up to a savior or friend and leave Him at that. 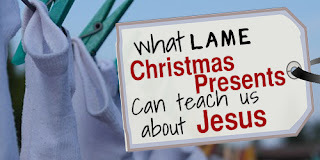 Ask Jesus to show you a new part of Himself this Christmas season. Ask Him to make Himself more real to you than ever before. Dear Lord, we pray that You would show us a new part of You this Christmas season. Thank You for who You are and what You mean to each of us. In the Name of Jesus, Amen. 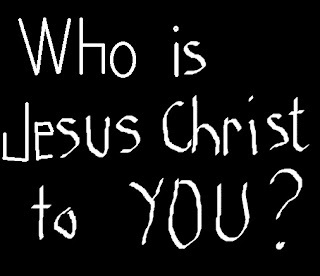 Labels: Christmas 2017, Who is Jesus to you? I’m sure we’ve all experienced it, that moment when you’ve been given a bad Christmas gift. It could be the horrible sweater your aunt got you with the huge fuzzy cat face on it. Or perhaps it was the time your grandma gave you socks and underwear instead of the headphones you asked for. There is always that awkward moment when you’re trying to think of something nice to say. You know you need to thank the person that gave you the gift, but how do you do it? How do you thank someone for a horrible sweater without laughing or seeming disappointed. How do you tell grandma thanks for giving you socks and underwear instead of what you really wanted? This Christmas season, no matter how bad your aunt messes up your Christmas gift wish list, there are a few things you can be excited for. The main thing to be excited about is Jesus. See God wasn’t like Grandma who gave you what you didn’t want and didn’t need. He gave us the main thing we were lacking, salvation. God could have judged the world. He could have been a rotten gift giver. He could have told us all the things we have done wrong. He could have reminded us of all the ways we didn’t measure up. However, He didn’t do that. Instead he decided to save us from our sins. So this Christmas, if your aunt gives you a horrible sweater or your grandma gives you some stupid socks, remember that God gave you an awesome gift. He saved us from our sins. So, if you’ve never made the decision to accept Jesus into your heart and become a child of God you can. Ask me how and I will love to share with you how you can have the BEST Christmas gift ever. 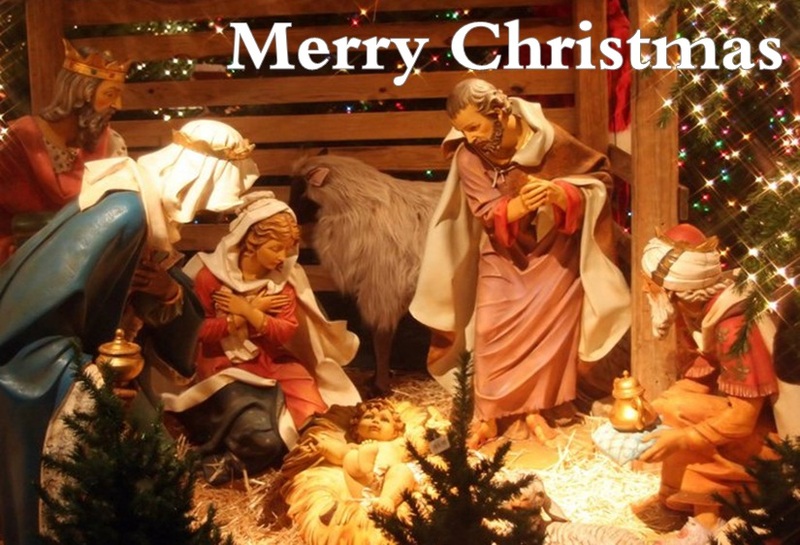 If you have accepted Jesus, then remember to share Him and His love with others this Christmas season. That way, regardless of the gifts you get, you can enjoy knowing that you’ve already received the greatest gift ever. Dear Lord, we thank You for giving us the greatest gift ever. Help us to share that with those that You bring into our path today. In the Name of Jesus, Amen. Dear Lord, we thank You that You can change our hearts. 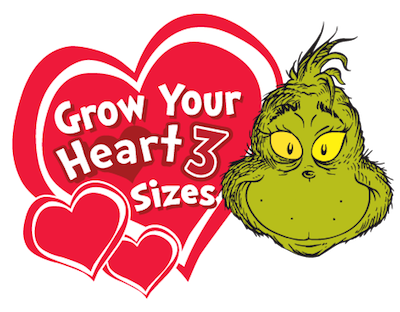 Help us this Christmas season to let Your love flow through our heart so those around us can see You in us. In the Name of Jesus, Amen. Have there ever been times in your life when you have felt alone? Maybe you feel like nobody understands you, or you’re going through a hard time and everyone around you is just too busy to care. Feeling alone is something that everyone faces at some point in their lives. However, the good news is, you’re never really alone. You might feel like every person around you has left you, or doesn’t care, but the good news is Jesus will never leave you. In this verse it tells us that His name is Immanuel, which means God is with us. 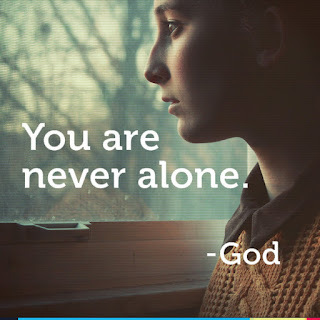 God is with you. That’s good news. If you’re going through a tough or lonely time, take comfort this Christmas Season. You can know that you’re never really alone. You’ve got Jesus with you. He’s there to walk with you through every trial and situation that you face. Dear Lord, thank You that we are never alone. Thank You for always being there even at the low times to walk with us. In the Name of Jesus, Amen. 1. Getting on Jesus’s nice list is easier than getting on Santa’s. Santa’s nice list is all about the things you do. It’s about being a nice person and doing good things. 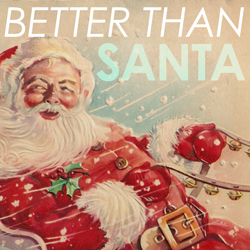 If you do enough good things, then you’ll be placed on Santa’s nice list and get presents. Jesus does things differently. To get on Jesus’s nice list, you don’t have to work hard and do good things, you simply have to believe in Jesus and confess him as your Lord. 2. Jesus is what Christmas is all about. 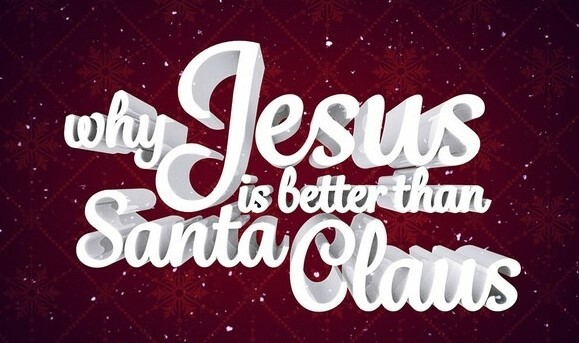 Sorry Santa, you are cool and your red suit is awesome, but Christmas is all about Jesus. This holiday is all about celebrating our Savior, who came to the earth as a baby. His teachings, His life, and His sacrifice on the cross brought us salvation. Santa is a great guy, but he’s not the reason we celebrate. Jesus is the reason we celebrate Christmas! This Christmas season, don’t forget to give thanks for what Christmas is really about, Jesus. Jesus is why we celebrate. He’s the reason we give gifts, sing songs, and eat way too much! Jesus is the best gift you can give this Christmas season. So as you’re getting together with friends and family, take time to find out if the people you love and care about have accepted Jesus as their Savior. If they haven’t, this is a great time for you to give them the opportunity. Don’t be afraid this Christmas season to share what Christmas is really about, Jesus. Dear Lord, we thank You for all that You have done for us and continue to do so. Help us to share Your love with all those around us today. In the Name of Jesus, Amen. 1. Santa is a pretty cool guy! I have nothing against the guy in the red suit, but I thought this morning I would share a few reasons why I think Jesus is way better than Santa. Jesus doesn’t give out coal. The great thing about Jesus is that He doesn’t give bad gifts, like coal. He only gives the best gifts; you know the ones the non-coal type. Jesus has your best interests at heart and is all about giving you awesome gifts. So no matter what you are in need of this Christmas season, Jesus has your answer! 2. Santa gifts last a year or two but Jesus’ gifts last forever. There’s lots of awesome gifts that you can get from Santa. Many times, those toys might be really great when you first get them, but after a while, you usually outgrow them or they go out of style. Jesus, on the other hand gives gifts that never wear out or get outdated. The gifts Jesus gives are ones that you can enjoy for the rest of your life! 3. Talking to Santa lasts a few months, but talking to Jesus lasts a lifetime. The great thing about Jesus is that you are able to talk to Him at any time. He’s there and ready to listen. You don’t have to wait until the Christmas season and find him at a department store to talk to Him. You can talk to Jesus at any time and in any place, and He’s ready to listen. Jesus has got Santa beat when it comes to Christmas awesomeness. Where Santa is lacking, Jesus has got him covered. Jesus desires nothing more than getting to know you better this Christmas season. So in the middle of your time off from school and eating your weight in candy canes, take some time to think about all the good things that Jesus has done for you, and be sure to thank Him for being way better than Santa! Dear Lord, we thank You for being way better than Santa. Help us remember this Christmas season the many things You do for us and share that with others. In the Name of Jesus, Amen. Today’s Bible verse got me thinking about Christmas time. How much of our energy is spent this season buying or getting the “right” gift? Why do we try so hard to get something that will be outdated or that you’ll get bored of before too long? So much of our energy at Christmas time is spent in the pursuit of things that don’t last. This verse tells us to not store up treasures on earth, but to rather store up treasures in heaven. So instead of just living for yourself and what you can get, choose to do something different this Christmas. If you have a friend who needs help offer it. If you see a need, meet it. If you have extra money, give it to your church to help them reach out to someone else in need. Mostly, just be open to let the light of Jesus shine through open doors all around you. Dear Lord, we pray today that our hearts and eyes would be open to those around us. Help us spread Your love through our actions. In the Name of Jesus, Amen. Christmas season is in full swing! Stores are crammed full of people doing their last minute shopping and you’re probably gearing up for all the good food that you’re going to eat in the next few days. 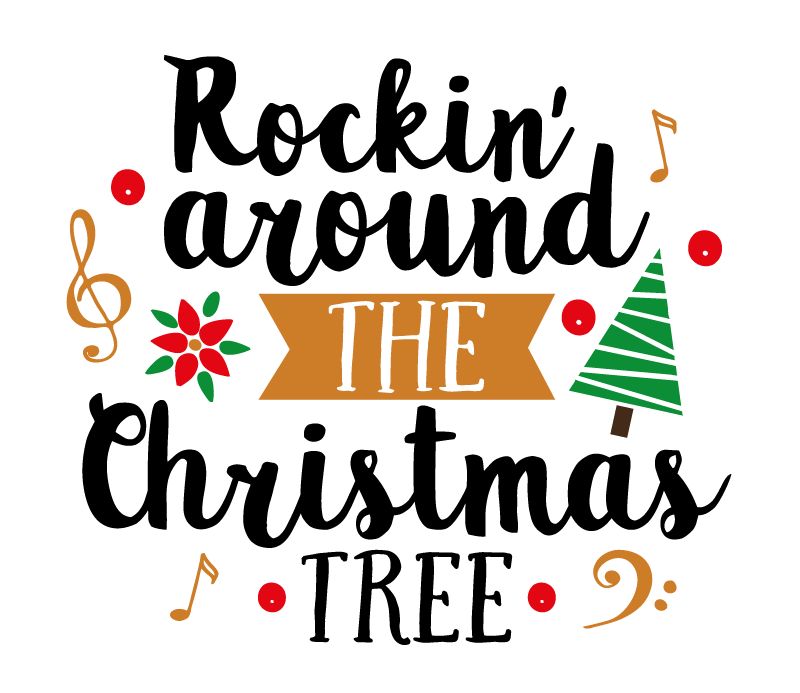 Because Christmas is such a busy time, it’s easy to forget some stuff, so we’ve got a checklist guaranteed to help you get rocking around that Christmas tree! Decide to be happy – It’s easy to fall into the habit of unhappiness at Christmas time, and its usually the small things that steal the fun right out of Christmas. It usually starts with simple things, like being jealous about the presents a friend got, or feeling upset because you were forced to go to Aunt Lucy’s house instead of hanging out with your friends. Choose to not let the simple things make you unhappy this Christmas. Decide no matter what to be happy and you’ll be rocking around the Christmas tree in no time! Be thankful – No matter how stinky your Christmas seems, you can always find things to be thankful for. One thing to be thankful for at Christmas is the fact that Jesus came into the world to pay the price for your sins. You’re not getting what you deserve, which was hell. Instead Jesus paid the price for your sins so you can party it up this Christmas season! Remember what Christmas is Really About – There’s usually so much going on at Christmas that sometimes it’s easy to forget what Christmas is really about…JESUS! Spend some time thinking about what Jesus means to you, and be sure to thank Him for what He’s done in your life. Keep in mind this Christmas season how awesome Jesus is. Think about all He’s done in your life, and take time to be thankful. 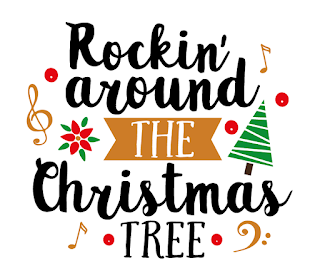 If you do, you’ll find that you’ll be rocking around that Christmas tree in no time! Dear Lord, we thank You for coming to Earth as a baby and growing up among us. But most of all we thank You for dying on the cross for our sins so that we may live with you forever. In the Name of Jesus, Amen. You might want to do something awesome for God but you’re waiting on Him to put it together for you. And while, it’s always good to get God’s timing on things, today’s Bible verse challenges us to do something else while we’re waiting. This verse is saying that a first step is to serve another person’s dream. Get involved in helping someone else reach their potential. As you are faithful in the small things, you’ll see that God will advance your steps little by little. As you learn to give and be a blessing with the money you have you’ll see that God trusts you with more. So choose today to live your life differently. Determine to start being faithful today with the small things and realize that God will take care of your future. Dear Lord, we pray that our eyes and hearts would be open to be a blessing to those around us. 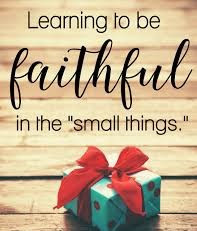 Help us be faithful in the small things. In the Name of Jesus, Amen. 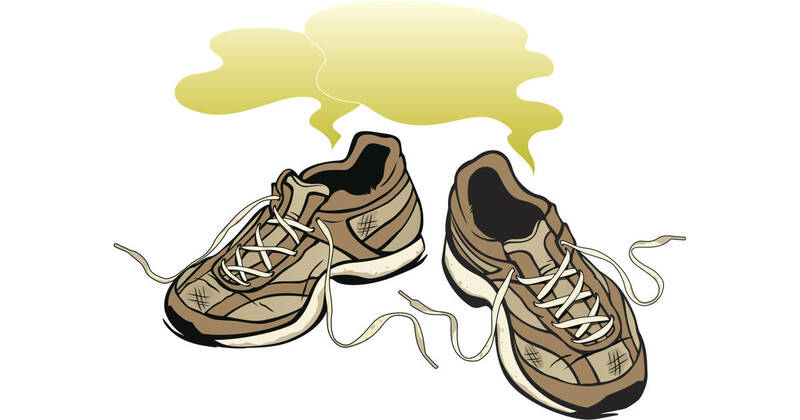 There’s not many things that smell worse than stinky shoes. I’m sure you’ve come across a pair that has that odor with the extra kick. It may even be a family member. You know the ones that make you gag a little when you pick them up? It seems like shoes can get stinky pretty easily. It’s just the nature of them. You put them on, run around in them for a few days, and they start to accumulate that funky stinky feet odor. But many times, because you wear the shoes all the time, you don’t notice the odor. 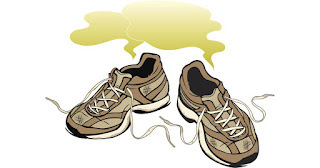 It’s easy to become accustomed to the foot odor and not realize…your feet stink. You know that’s a lot like personal growth. It’s easy to become so accustomed to your daily activities, routines and things that we can forget to grow personally. Unless we try to do something beyond what we’ve already mastered, we won’t grow. That principle can apply to lots of areas in our lives. If we don’t push ourselves to grow, we can easily become stinky and not realize it. Dear Lord, help us to push our self beyond what is normal. Help us to grow spiritually so that we may bring honor to You and not be stinky. In the Name of Jesus, Amen. I have always enjoyed the game of pinball. There’s something exciting about the flashing lights, the music, and most of all, trying to keep that ball in play by hitting it with the flippers. 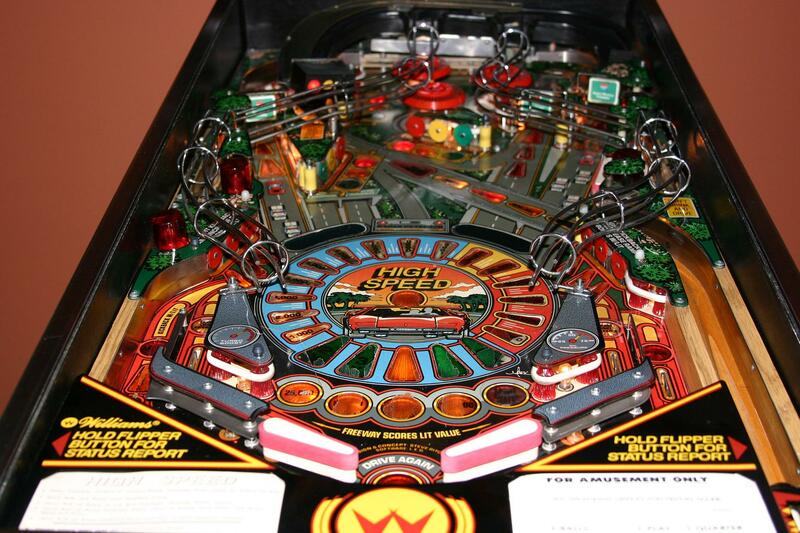 Pinball is a little difficult in the sense that the crazy little ball never wants to stay in play. It always is trying to get to the bottom. Each time it nears the drain at the bottom, you have to try with all your might to hit those flippers hard enough to keep that ball in play. Pinball reminds me a lot of what the Bible says about our thoughts. The Bible encourages us to get rid of thoughts that aren’t good and fill our mind with those that are good. To me, this verse is telling us that when a thought comes that isn’t of God, we are to flip it away from our thinking. 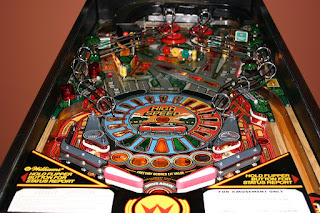 Just like in Pinball, when the ball comes near the drain at the bottom, we are to flip it away from us, when thoughts come to us that aren’t of God we are to flip those out of our thinking. So when thoughts come to you and you begin to think that no one understands or cares about you, choose to flip those thoughts from your thinking. Don’t grab a hold of that thought or even entertain it. Kick it out of your thinking and you’ll see that you’ll quickly begin seeing results in the way you think. Dear Lord, we pray that when the things of life that come our way that are bad for us we would choose to flip those thoughts out of our mind. In the Name of Jesus, Amen. 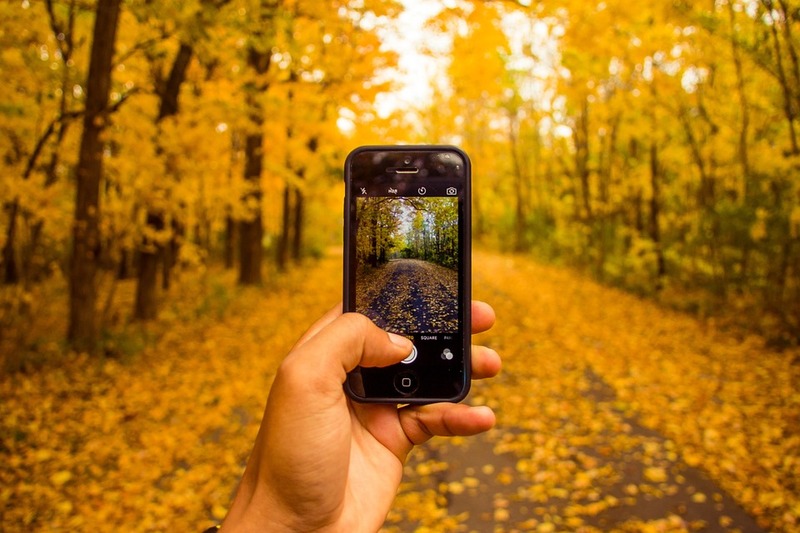 If you are like most people, you love taking pictures with your iPod, camera, or phone. Each picture you take shows a piece of your life. And some of these are so great, you have to share them on social media so all your friends can see. Imagine if you will that every thought you have in a day is like a picture stored on your phone. Some you look at and decide “that wasn’t too great- I look stupid” and hit delete. Many times, we don’t take any time to think about what we think about. Getting into the habit of deleting bad thoughts is important because our self-image is based upon how we think about ourselves. Don’t spend tons of time thinking about things that aren’t good. Instead delete those thoughts and replace them with good thoughts. Dear Lord, help us listen to our thoughts more and delete those that we don’t want developed in us. Help us not always say what we feel, but instead say what we want in our life and what will help other people. Help us to come to You with our hurts and feelings in prayer. In the Name of Jesus, Amen. Brushing your teeth and God's Word. The light of your path.